More than once I ve had students coming up to me with a blissful smile on their face, still in surprise and wonder about the thing that made them happy. We all know that walking around with a huge grin is perfectly normal when we’ve unexpectedly fallen in love, finally get pregnant or otherwise receive grace. But this joy is a surprise and they need to share it with the only one who they know will understand. “I bought a yoga mat!” they whisper, or confide in me after class after everyone has left. Happiness is not for sale, but you can buy your first yoga mat, which as it turns out, is pretty much the same thing. There are many theories as to why the purchase of that first yoga mat is so special. I know in my time (when the animals could still speak) you couldn’t even get one in the Netherlands. 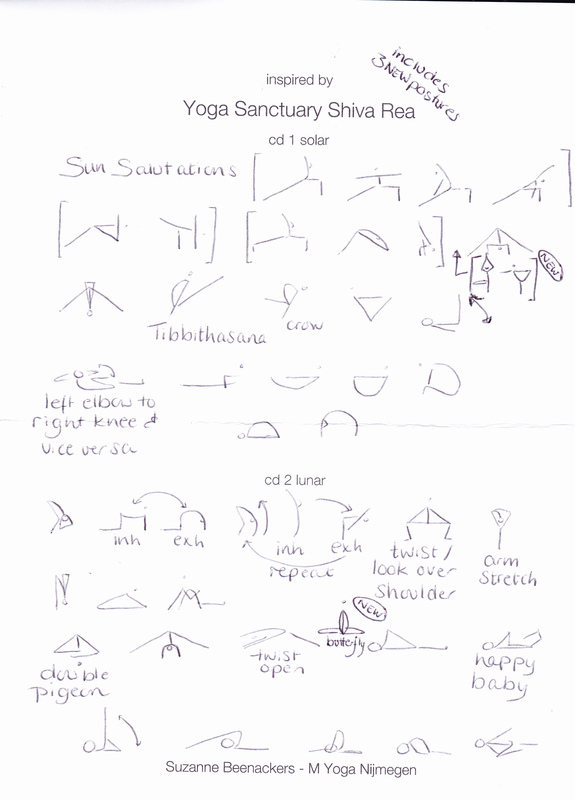 My mother did yoga with a British Iyengar teacher, who imported the mats for her students. The first year of my practice I worked on a hand-me-down from my mother, and my first new mat was also from her teacher. After that I started a small business importing the mats myself. Not for the money (I barely made enough profit to cover refunds and other unexpected costs) but because I was on a mission to get Holland from those towels and camping mats into the 21st century. If the entire Anglo-Saxon world had a broad selection of sticky mats, there was no reason we should be practicing on sheep skin, sleeping bags and surfaces that had been en vogue since the 70’s. You can still see the mats I imported in my studio in Nijmegen. They’re 12 years old now. If you want to buy one you can check here for United Kingdom and here for the Netherlands. The “studio mats” (as they’re called) are pretty heavy by today’s standards, but they’re sturdy, non-toxic, and suitable for heavy usage. So in my time, when yoga mats were still rare, owning a real yoga mat was something like owning a car or gadget or that was not distributed in Europe. It was special. Nowadays you can buy yoga mats everywhere. From € 3,- at discounter Action to a brightly colored professional (2 layered) yoga mat at Flying Tiger. There is a lot less anticipation and no difficulty of purchase anymore. And yet it still makes people happy. And I think I know why. Because a yoga mat is like your own piece of sacred ground. Your yoga mat is connected to taking care of yourself, making me-time, to self-improvement, and peace of mind. There is a good chance you will spend more happy moments on your mat than with any other object you own. Even the act of rolling out your mat, can bring out that conditioned response of anticipating something good. A yoga mat is like owning a square meter of heaven. This week, and next week, I m working with exercises from Shiva Rea’s Yoga Sanctuary. I’ve also posted this schedule around New Year, and made some improvements to it. Click here for the new Yoga Sanctuary home yoga schedule. This entry was posted in Yoga@Home and tagged Shiva Rea. Bookmark the permalink. ← From the vault – What would Madonna do?